Pioneers in the industry, we offer industrial locker, steel cupboard, glass door steel cupboard and wall cabinet from India. A perfect blend of style and looks, Glory has new international sleek and streamlined outside appearance. Its special design allows for more clear space inside. Its square corner construction allows it to blend conveniently with your other furniture. 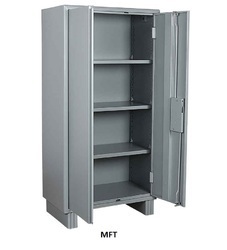 The Cupboard has one full-width hanger and two channel mounted drawers along with a locker. The all new flash line handle with a 3-point locking mechanism looks very attractive. We are offering Glass Door Steel Cupboard. 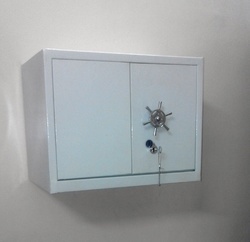 We are offering Wall Cabinet.